· West Coast Food Sovereignty and Solidarity Forum formed in 2016 – in an attempt to engage with the mine on behalf of the community. 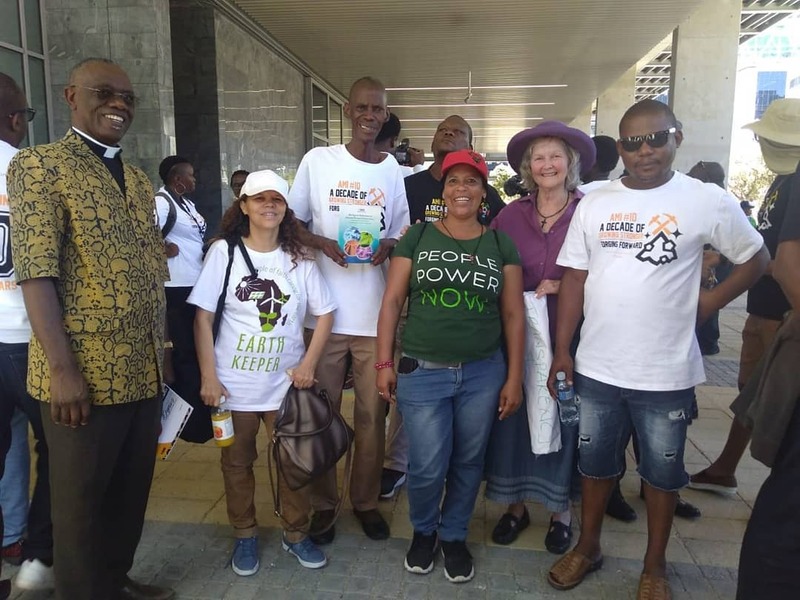 · In 2015, the Forum and the communities it supports held a march and handed over a memorandum to Zamile Qwanya, the Mine Director and shareholder (and from Xolobeni) – who promised to respond, but up to now, has not. Cloete says that Qwanya brings in workers from Xolobeni – some of whom are deliberately causing conflict in the West Coast communities – to work at the mine. · Cloete is also facing a SLAP suit – along with 8 others, including local journalists – of R7 500 000 from MSR Tormin mine company, for defamation of character. Their cases will be heard in the High Court.